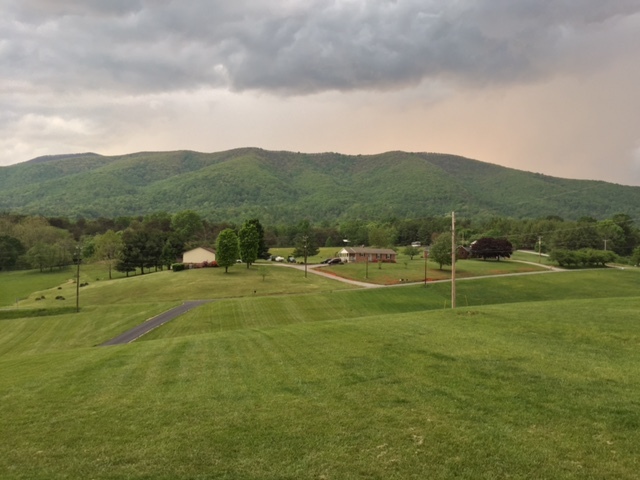 I love sitting on the front porch and watching a thunderstorm roll in over the mountain. It is so cool to watch the clouds and a wall of water come up and over and right at ya. Great picture! I would never be in my house if I had that view. Want to come mow it for me?